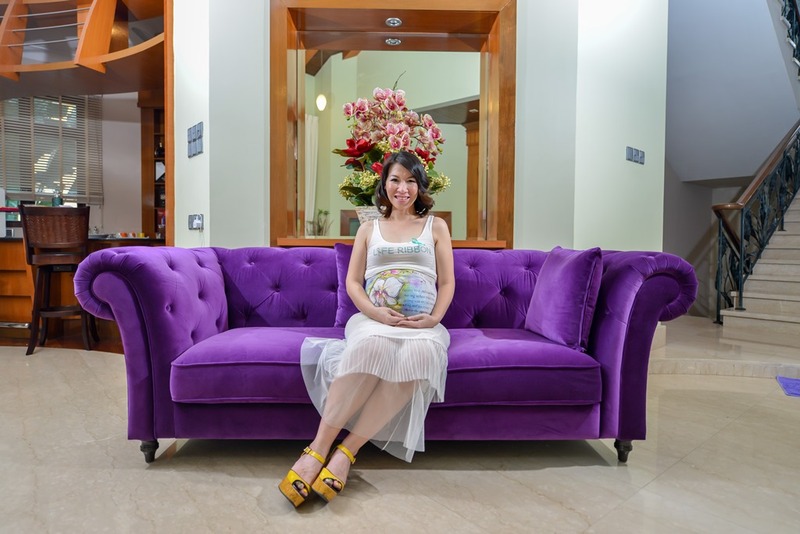 Malaysian-born UK based mural artist to the stars, Annie Newman, was in Kuala Lumpur at an exclusive media-only event today to create magic on expectant mum to be, Estee Leong. Annie Newman is no stranger to making the ordinary look extraordinary, which is evident in her mural paintings at David & Victoria Beckham’s home and Datuk Jimmy Choo’s couture boutique in London. Annie Newman was in town at the invitation of LiFE Ribbon Community - a gathering of like-minded women founded by Estee Leong, to share knowledge, support each other by creating a positive environment for other women through the "double H" focus - Health & Happiness both physically and mentally. 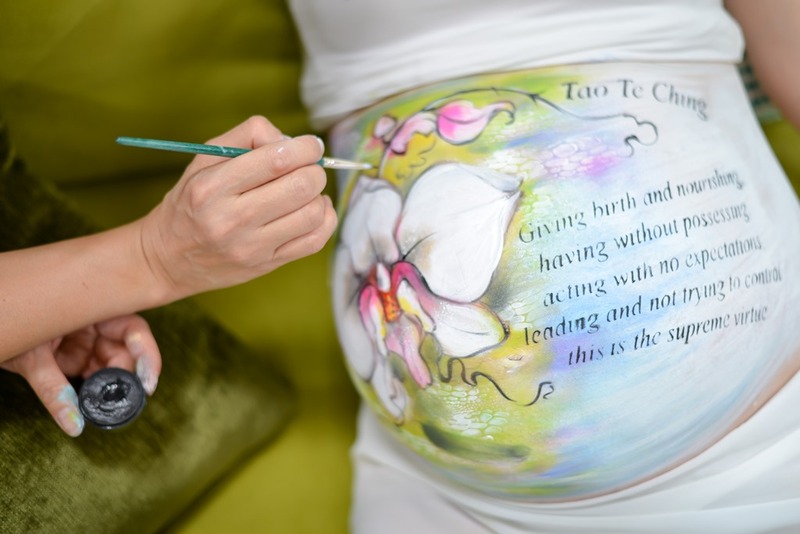 During the private event at Estee’s residence, Annie painted a range of beautiful orchids on Estee’s stomach which she disclosed symbolises Purity and Fertility. Also present at the event were Datuk Professor Jimmy Choo, Datin Winnie Loo - Founder of A Cut Above Salons and Academy, Dato’ Michael Tio - CEO of PKT Logistics Group Sdn Bhd, Datuk Calvin Khiu - MK Curtain Group of Companies Founder & CEO and Mr Jeff Kong - LiFE Ribbon Community’s Co-Founder. Best ke event ni? Ida pun dapat tp x pegi..